Surena's Windowing Preview 2 is extreme! It is something I wouldn't expect in a QBasic GUI, but obviously this has defied the odds of QBasic limitations. This GUI has very tight hardware requirements, so I couldn't run it in DOSBox. Running Surena in DOSBox (0.74) takes a long time and the setup is painfully long whereas the installer is faster on a 300 MHz Celeron processor. 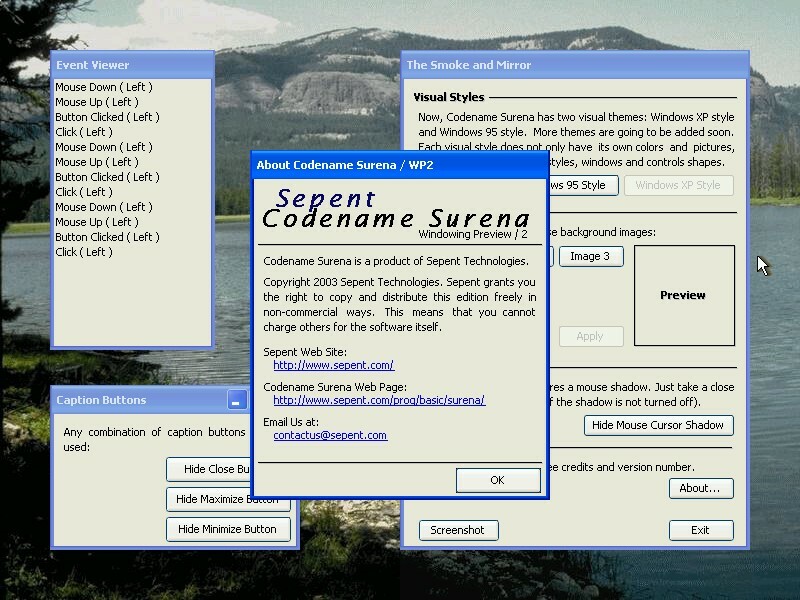 In this version, there is a Windows XP-style theme, desktop backgrounds, and cursor shadows. These are also options in the GUI that can be set to show how the demo works. This is pretty neat and a great inspiration to GUI programmers. The link for the source is broken. Can you re-upload it somewhere (or e-mail it to vnules(AT)gmail(DOT)com)?